The Raspberry Pi Zero W costs $8. Compare that against the $35 of a Raspberry Pi and you can understand why we get requests for supporting it. First, let’s make one thing clear: Yodeck has always supported all versions and generations of the Raspberry Pi. What does that mean? It means that if you restrict yourself to using a single Playlist on a Show (usually, fullscreen content only), then your content will be just fine on any Pi version. At Yodeck, we generally classify Pi hardware into 3 “generations”, based on the most crucial resource: the total amount of available memory. We strongly advise against 256MB units, they will be sluggish and will probably fail at some point. 512MB units are slow but work fine. You should only use them for 1 full-screen Playlist, perhaps safely adding a single ticker. Of course, we recommend against these for future-proof installations. All 1GB units are fully supported (we ship free Raspberry Pi 3 Model B+ units with our Annual Plans). Why is the Raspberry Pi Zero W different? Up till now, we didn’t pay much of attention to 512MB models. Pi 2 and Pi 3 are much much faster and the price difference was negligible. But the Pi Zero W costs only $8 and it includes WiFi! Throw in about $20 for a case, a power supply, an SD card and an mini-HDMI-to-HDMI adapter and you have a fully working Player, for about $30. Wow. So, does the Zero W work with Yodeck? You can download the SD card image here. Keep in mind that the syncing process might take significantly longer on single core RPis, since some extra processing is required for downloaded videos (it might take up to a few minutes per video, in extreme cases). Also, in the future we will be supporting a “Player Hardware Type” attribute for Monitors in the Yodeck Portal. This way, when you create a Monitor, you will need to declare the hardware being used, e.g. Raspberry Pi (512MB), Raspberry Pi (1GB) or Asus Tinker Board, so that the system can issue warnings and restrictions over content that might not display properly on different types of hardware. 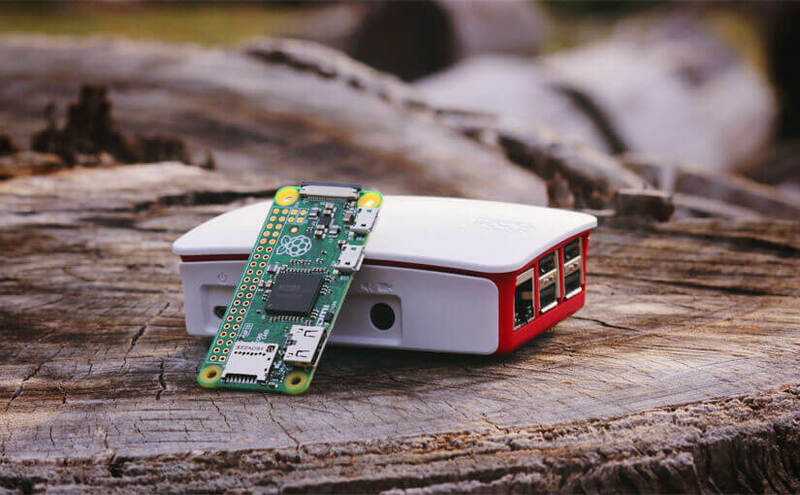 The Raspberry Pi Zero W works with Yodeck, and we will provide explicit support for it. In the meantime, you can set up Yodeck using a special image, and remember to use it with caution. It will work just fine, for most fullscreen content.